The School of Performance and Cultural Industries is based in stage@leeds, a purpose-built, landmark building that sits at the heart of the campus. As a student you will have access to two professional standard, publicly licensed theatres; the main space seats 180 and is equipped with the latest technologies. 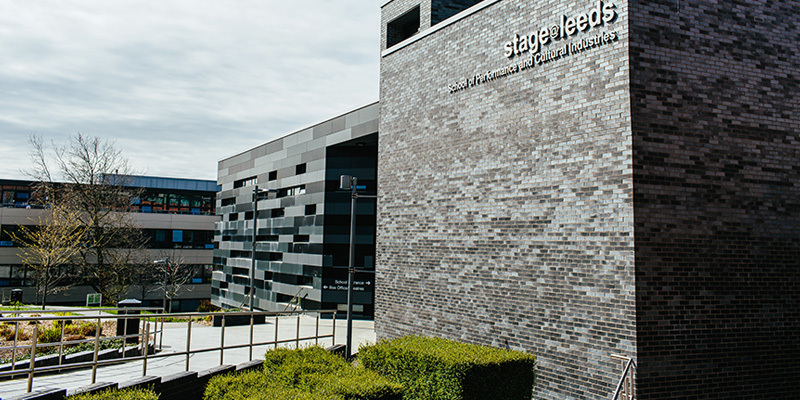 Stage@leeds hosts a range of performances by current students as well as visiting theatre companies and our theatre studio provides a technically advanced performance research facility. The building also houses a dance studio, dressing rooms, box office and meeting rooms. Other facilities in the School include rehearsal rooms, two black-box studios, costume construction and wardrobe stores, design studio, scenic workshop, computer aided design and video-editing and sound recording suites. As a theatre and peformance student you'll also have access to the wide range of theatre spaces and resources available across the university campus.